Xbox 360: 10.5 million units sold in the U.S.
TiVo Series 3: 250,000 units sold (estimate); 750,000 Series 2 and Series 3 units are connected to the Internet via broadband (two-thirds are estimated to be Series 2 devices). PlayStation 3: 4.9 million units sold in the U.S.
What Rayburn failed to supply is perspective. These numbers are rolled up since when? The Netflix Player by Roku is new. 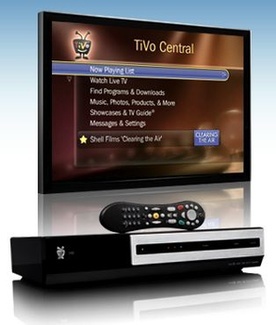 The TiVo Series 3 is relatively new. AppleTV and Vudu are about a year old. PlayStation 3 and Xbox are in the process of rolling out Internet video-to-TV services. How long did it take other technology advances like the color TV, the fax, the telephone, cell phones, or cable TV — to name just a few — to reach critical mass? Their market penetrations and adoption rates were probably not that much better in their first years. The fact that Microsoft, Netflix, TiVo, YouTube, Roku, Sony, Apple, and others are rushing to market all sorts of Internet-to-TV products is a sign that they believe Internet-delivered video will be making a big impact in the consumer living room — maybe not now, but soon enough. Correct, I did not say how long each device has been on the market and it varies. Series 3 TiVo’s have been out about 2 years. XBOX 360 longer than that. On average the devices I mention are new or have been around for up to 3 years. And I agree that only time will tell how well these devices sell. But the purpose of the article was to show people out of all the devices sold, what some real numbers are, as opposed to using these grand numbers people like to quote. I think we need to be realistic and set those expectations properly. At the same time, I don’t see how they can be compared to the telephone or the fax. Those devices are stand alone units that can be used by themselves. The phone, fax and cell phone don’t need to rely on another device purchased by the consumer, the TV, in order to use them. All of the devices I mention can’t be used by themselves, so I don’t see the comparison. They all require consumers to have to purchase or have multiple devices just to use them, let alone sign up or purchase access to the content as well. Side note: In 1970, there were about 30,000 fax machines in the U.S., which is small, but the technology and price back then were the limiting factors. Almost 40 years later, from data I see on the web, about 6 million new fax machines are sold each year.